Cove Park is a well-known center for established artists on the coast of Scotland. 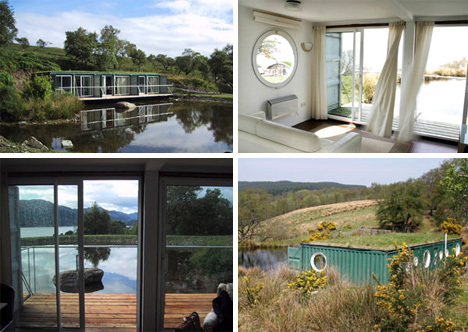 Their facilities include six converted shipping container rooms as accommodations for artists’ retreats. The “cubes,” as they’re known, all look out over beautiful Loch Long and were specially designed to fit into the surrounding countryside.